Blogging is my hobby. I love blogging. This is the work which i want to do daily with great interest and passion. The reason I like blogging is that I want to learn new things, research and know about different fields and things that are happening around. Blogging is that platform, which not only gives you freedom to write anything you want but at the same time, you keep on learning about new ideas and gain knowledge day by day. I write about Technology, Blogging, Smartphones, Social Media, Ecommerce etc on this blog. What i feel is that blogging is the best way, to keep oneself knowledgeable and up to date. Before writing a blog post, I constantly research about the idea and think deep into it to bring some thing new for my readers. I always try to educate myself and my readers about the domain which i write on. The other thing I like about blogging is that it is the best way to do a business and you can become entrepreneur . Those who passionately maintain their blogs, make it their businesses. I was thinking about the making the blog as a business and started some research on it. As we all know that bloggers generally earn from ads which are given by ads network. It is fine but it is not as much good as we think. The best ways of making money from blogging, I thought are other then the ads. Here i want to tell you that "earning from blogging" is not an easy job. It is a long process of hard work, which requires significant amount of your time, to bring a blog to a level, where starting earning money through it becomes an easy and a continuous process. Taking ads on the blog from different ads networks is a conventional way of making money from blogging. You can say that ads pay much less then Affiliate Marketing sales from blog, which i am going to detail here in this article. So lets see what is Affiliate Marketing and potential ways of earning from blogging as compared to conventional methods of earning from advertisements from ads networks. This I consider the more appropriate way of earning from blogs, as compared to taking ads from different ads networks. In simple terms, "Affiliate marketing" is the way of earning money from blogging, where bloggers earn commission by making sales of others' products, through their blogs. The wikipedia also mentions the fourth one which is network. To keep it simple we can assume that there are only three parties to affiliate program as mentioned above. Affiliate marketing is also known as "performance based marketing". Businesses and companies give rewards to affiliates or bloggers, in the form of commission for bringing customers in through their blogs who make purchases. This is the way where products of others are sold through your blog and you earn sales commission in return. Different companies and businesses run their "Affiliate Programs", where bloggers apply for entering into affiliate partnership with them. Once approved the affiliate partnership is made between the blogger and the company whose products would be sold through the blogs as affiliate sales. The earning from Affiliate Marketing depends on the number of sales made through your blog. 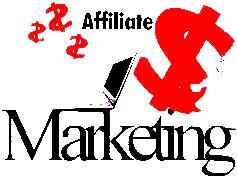 To increase the income from affiliate marketing, there is a need to devise a proper strategy. The strategy of earning from blog here includes, writing such type of content and articles, which generate traffic on the blog and visitors of the blog make purchase through it. This is the way you will earn commission. As i run the blog which is mainly related to technology and smartphones, so my content and articles should be based on the products reviews or the best deals which are offered by companies on their products. People read the products' reviews and details before purchasing the products online. If my blog provides excellent details about popular products and deals, then my chances of earning from affiliate marketing will increase. Here comes two strategies for Affiliate Marketing. The one is writing about the products and their reviews, to make affiliate sales and the other main strategy is to market the blog. The marketing aspect is as important as writing the content because the articles are written for people and it requires proper marketing to make the content visible to mass audience. The search engine optimization SEO of your blog is very important, to earn through affiliate sales. SEO is a magic which is applied to the content, website and off the site. I have covered in detail the On Page SEO and Off Page SEO which cover major and key requirements of SEO. As the SEO is to increase the organic traffic on your blog, at the same time for blog promotion, social media marketing plays a significant role, like Facebook, Twitter, LinkedIn, Pinterest, Youtube etc etc. Social media marketing of your blog increases the chances of affiliate sales and revenue generation. The large number of audience registered on Facebook, will visit blog. They will read blog articles which are written on different products and interested visitors will be influenced, to purchase through affiliate links on the written articles. 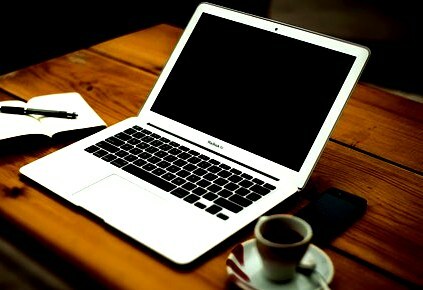 In short, to earn from affiliate marketing, you have to write detailed articles on products, in such a manner that the chances of purchase of those products from the affiliate links on your blog increase, when visitor will read those articles..
At the same time constant marketing of the blog is required. Here, i m mentioning the different websites, which offer and provide, the affiliate programs to the bloggers. There are other websites too. As an example here, Amazon is the best affiliate for promoting the sales of households, books, toys etc. Anyone can go to the "Amazon.com" and apply for the affiliate program and take the link to the blog. Every time the visitor of your blog clicks on the affiliate link of Amazon (For example) and go to Amazon.com website for actual purchase of the product, you will earn a commission, after that purchase. You need to choose those affiliate programs, which suit and synchronize best with your blog. Through affiliate marketing, you can start earnings very early. For earning from the affiliate marketing, you just need to put the affiliate link on your site. You do not need to create the product and sell it actually. The traffic which your site attracts will play the significant role in generating and increasing your revenue. Through Affiliate marketing you can have a very good idea about the products which are best sold through your blogs. You can also create your own products of similar types and sell those products through your blog, as you know the buying trends and preference of the people now.